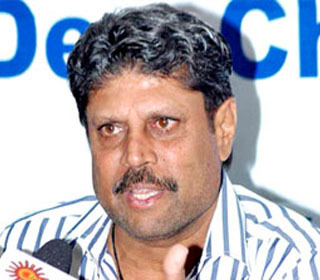 One of the greatest all rounder and a leading Captain of India, Kapil Dev feels Ricky Ponting will be a difference between his national team’s series victory against Australia. He predicted that the Indians are poised to create a history while beating the Kangaroos first time ever in their country. 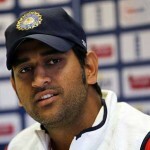 India has already warmed up themselves with couple of tour-matches and preparing for the dual of four Tests. They are well equipped with the powerful battery of batting which includes little master Sachin Tendulkar, the great wall of Indian batting Rahul Dravid, the ever reliable VVS Laxman and attacking Virender Sehwag. Their bowling has learned how to grab 20 wickets in a Test match as the pace attack is led by lethal Zaheer Khan, young Ishant Sharma, speedster Umesh Yadav well supported by the match winning spinner’s duo of Ravichandran Ashwin and Pragyan Ojha. Kapil was the victorious Captain of 1983 World Cup Indian team and had led them from the front throughout his career. 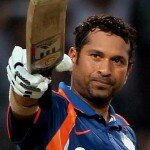 He has played 131 Tests, scored 5248 runs at an average of 31.05, the best of 163 runs with eight hundreds and 27 fifties. The right arm fast bowler has accumulated 434 wickets averaging 29.64, the best of 9 for 83 runs in an innings and 11 for 146 in a match. The 52-year-old represented his country in 225 One Day Internationals, scored 3783 runs, average of 23.79, the best of unbeaten 175 runs with 14 fifties. He has taken 253 wickets averaging 27.45, with the best of 5 for 43 runs. Ricky Ponting is the most experienced batsman of Australia and had won them quite a few matches with his own performance. He was the most successful Captain of the country and enabled them withtwo World Cups in 2003 and 2007. The 37-year-old has played 158 Tests, scored 12656 runs at an excellent average of 52.29, the best of 257 runs with 39 centuries and 58 fifties. The right hand batsman has scored 13686 runs in 370 ODIs, averaging 42.63, the best of 164 runs with 30 hundreds and 82 fifties. Australians are going through re-building process after the retirement of their greats like Matthew Hayden, Adam Gilchrist, Shane Warne and Glenn McGrath and the vacuum created by them has yet to be filled. The series will commence on the December 26, 2011, when the first Test will be played against Australia at Melbourne Cricket Ground and India will anticipate a victory straight away. Kangaroos wouldn’t be tamed by just taming Ponting. They are tough bunch and at home ground it would be near impossible to defeat them. You will have to get hold of all of 11 kangaroos to gain victory.